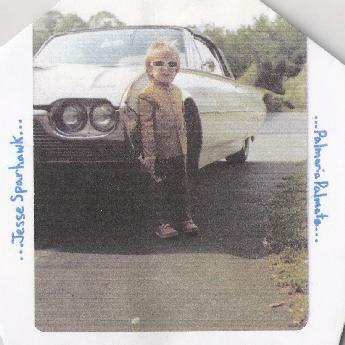 Jesse Sparhawk - "Palmaria Palmata"
I first encountered Jesse Sparhawk a week before writing this review, when he backed Marissa Nadler on her stop to perform here in Columbus, Ohio. Jesse added electric guitar and keyboard colorings to Marissa's captivating and uniquely personal folk based songs. So when I saw a solo CD by Jesse on the merchandise table I couldn't resist checking out what his own music is like. Palmaria Palmata is a 27 minute set of solo acoustic guitar instrumentals. The melodies are beautiful and played in a style that is classically based, but not altogether classical. The musicianship is very good, and Jesse manages maintain a certain style while varying his technique from one song to the next, and even within single songs which really kept things interesting. A very pleasant half hour of acoustic guitar. I'd love to hear him in a band situation. For more information and to hear song samples you can visit the Jesse Sparhawk web site at: http://www.myspace.com/jessesparhawk.